Flight operations at the Jomo Kenyatta International Airport resumed after the Kenya Airports Authority removed a plane that had stalled on the runway on Sunday evening. The Phoenix plane that was flying from Ukunda, Mombasa County, encountered a hitch on the runway following issues with its landing gear. Kenya Airports Authority Managing Director Johnny Andersen said that "all our emergency services at the Airport responded swiftly and we managed to clear the runway and flight operations resumed after 40 minutes". The issue had led to the diversion of two Kenya Airways and one Emirates flights to Mombasa. 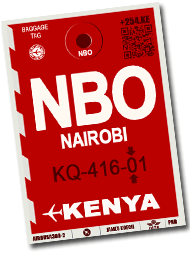 Earlier in the morning, a dead body of a stowaway was found in a KQ flight from Kinshasa.